A Practical Guide to Play Therapy in the Outdoors responds to the significant and growing interest in the play therapy community of working in nature. Alison Chown provides practical ideas about why we might decide to take play therapy practice into outdoor settings and how we might do this safely and ethically. This book discusses how nature provides a second intermediate playground and can be seen as a co-therapist in play therapy. It explores the relevance of different environments to the play therapy process by considering the elements of earth, air, fire, water and wood. It looks at the way we can connect with nature to find a sense of place and details some activities to do with children in play therapy to get started. 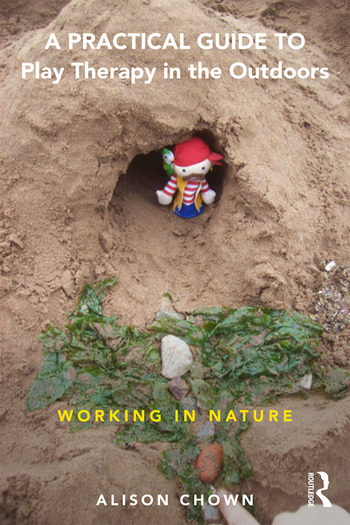 The book provides an important guide for the practitioner and talks them through the crucial guidelines that are necessary for outdoor play therapy and gives a philosophical perspective to working in nature. It will be engaging and essential reading for play therapists in training and practice. Alison Chown is a play therapist and experienced specialist teacher for children and young people with complex behavioural, emotional and social difficulties. She is an independent practitioner and director of Phoenix Play, and its sister company Learning Tree Training Limited, which provide individually tailored training to schools and other agencies. Through this role she also is an associate tutor for Worcester and Plymouth Universities, lecturing at Foundation Degree level in Behaviour for Learning, Developing Inclusive Practice and Child Development. Alison is also a certified Beach school practitioner.